Total price is MYR 16.40 nett. 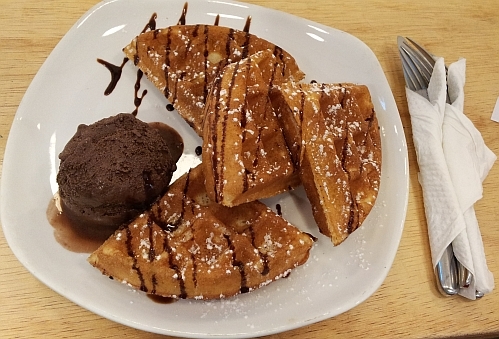 ice cream and waffles are tasty dessert! Nice play with the phrase in the shop's name. Very clever. this name is used by many ice cream shops all over the world if you google for it. 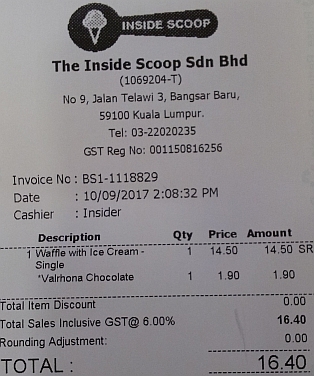 price is slightly lower than some other ice cream waffles places. I wonder if they will open a branch in starling mall but then there is a shop in uptown already. I remember going there when it was newly opened. We still had to follow the long queue at 9pm!! Good ice creams there. 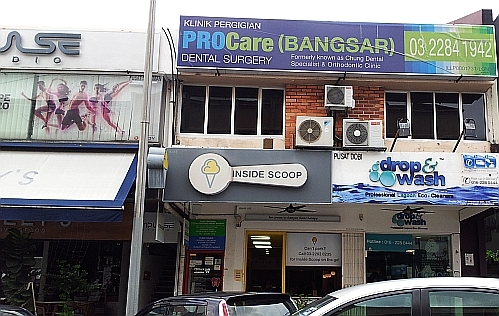 bangsar branch is still very popular. so is the uptown branch.